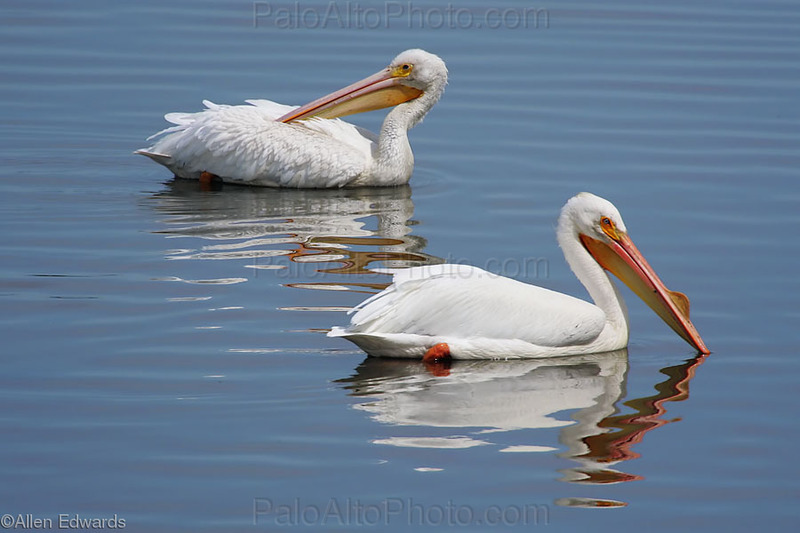 Every year in the baylands near Palo Alto large numbers of white pelicans come to visit. This mated couple is enjoying some sun. Please notice the bump on the male's beak. This is mating attire.